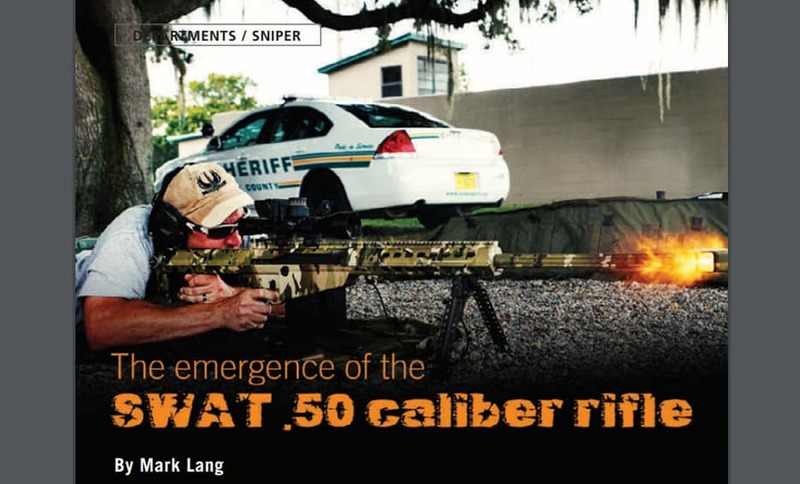 For too long, the .50-caliber rifle, or “Light Fifty,” has lived a meager and secretive existence in the equipment rooms of many SWAT teams around the country. Sitting in a hard case with only a box of ball rounds to its name, many operators have forgotten they even have the rifle. Whether the weapon was seized, donated or purchased, the SWAT .50-caliber has gone neglected and under-deployed for years. Immediately recognizable as the largest caliber weapon system by virtue of its bold stature and design, it is finally carving out a definitive place on the use-of-force spectrum for SWAT teams. The exhaustive hyperbole of this black ops or military-only rifle is finally at an end, and it is finding its niche in law enforcement. The .50-caliber rifle has emerged as a justifiable means to an end at SWAT operations present and those yet to come. June 13, 2015, is a significant date, because it was the first use of a .50-cal by a SWAT team to interdict a suspect held up in an armored vehicle. There have been several uses of the .50-cal to defeat vehicles by various SWAT teams in the past, but this incident in Dallas was the first intentional firing at a human being to stop his actions in civilian law enforcement. This incident involved a lone gunman driving an armored van. The suspect drove to Dallas Police Headquarters, placed an IED in the visitor’s parking lot and opened fire on the front entrance. As responding Dallas officers arrived, the suspect began to fire his 7.62x39mm semi-automatic rifle at them through shooting ports on the van. After a freeway pursuit and a second rifle fight between the suspect and pursuing officers, the suspect was subsequently stopped several hours later by a Dallas police sniper utilizing a .50-caliber Barrett M82A1 semi-automatic rifle. There is much more to this incident, but the focus of this article is to illustrate how the .50-cal rifle was utilized to bring the safe resolution of this incident. Dallas SWAT established a .50-cal program in 2005, some 10 years before this incident. The gunman in this case was driving a 1995 Ford Econoline 350 that had been up-armored as a cash-and-carry van. The vehicle subsequently made its way into other uses as it changed hands throughout the years. Purchased off eBay days before the planned attack and advertised as a “zombie apocalypse” vehicle, it had six shooting ports on three sides of the vehicle. The front windshield was seven layers in composition and nearly an inch thick. The relative ease of purchase of this vehicle should be troubling to all in law enforcement. Due to the totality of circumstances of the gunman’s actions, including two separate rifle fights and homemade explosives inside the van, Dallas SWAT immediately deployed two .50-cal rifles at the scene. The previous 10 years of training for these police snipers, coupled with multiple mission-specific .50-cal rounds, allowed for the safe resolution of this incident. 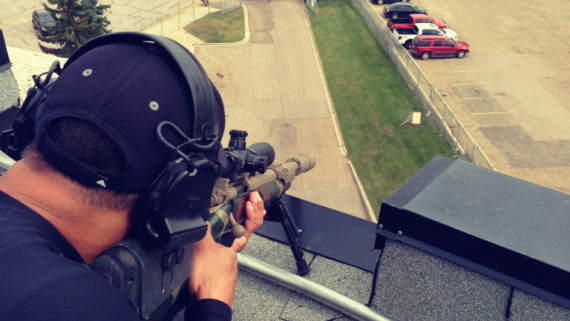 Acquiring a .50-caliber rifle and starting a program usually begins with the police sniper on the SWAT team. 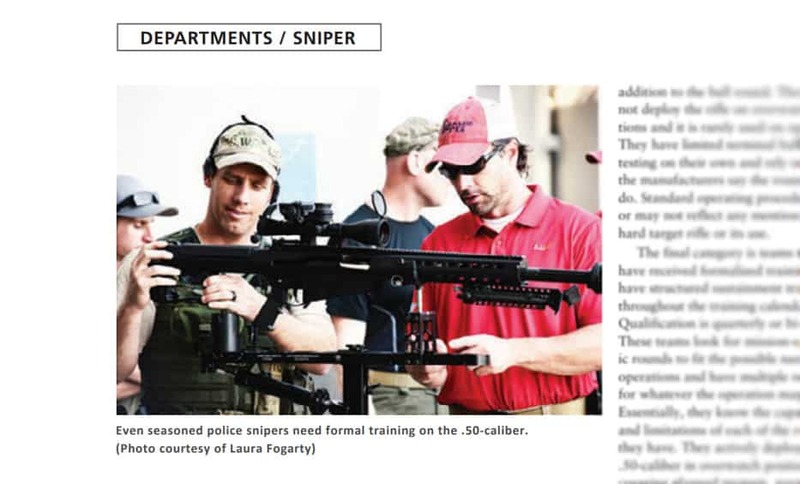 The .50-caliber falls under the police sniper umbrella and is a specialty rifle that has certain capabilities that the traditional .308-caliber does not. The police sniper can be the driving force behind convincing the chain of command of the justification for this hard target weapon even if an incident has not occurred in the agency’s particular area. Due to the way many in the command structure likely view this type of rifle, they may need some convincing. 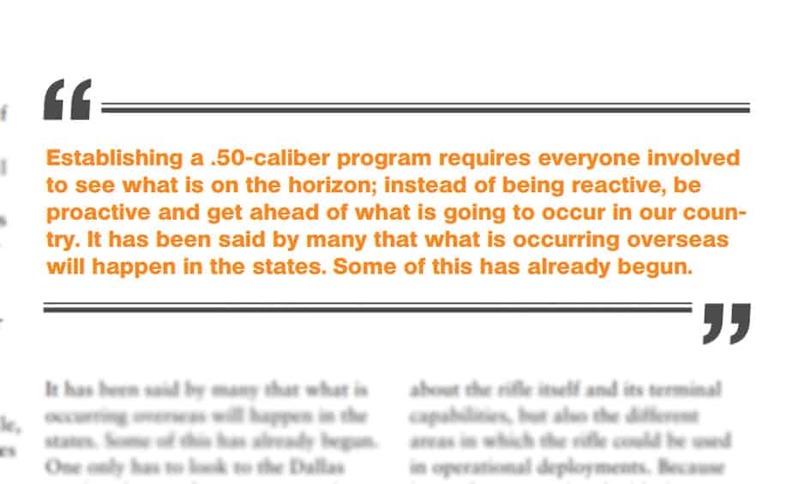 Establishing a .50-caliber program requires everyone involved to see what is on the horizon; instead of being reactive, be proactive and get ahead of what is going to occur in our country. It has been said by many that what is occurring overseas will happen in the states. Some of this has already begun. One only has to look to the Dallas incident for justification. A mistake is believing this only occurs in major metropolitan areas, and thus only fulltime SWAT teams need to have this capability. The suspect in Dallas was not ISIL, al-Qaeda or Hezbollah. He was a white American male whose son had been removed from his custody by a family court judge and awarded to his mother. The Dallas Police Department had no involvement in any part of this case, yet was targeted. A well-laid-out presentation should be the starting point of justification to the chain of command. Some in the command structure may envision the “Ma Deuce” .50-caliber machine gun mounted atop a Humvee that has been seen on television and in the movies. It will be the police sniper’s task to break down walls of misinformation and educate all those concerned. In 2005, the Dallas SWAT team acquired two Barrett M82A1 rifles and began their .50-caliber program. The program consisted of formal training, sustainment training and qualification. Formal training was received under the direction of Master Sgt. Neil Morris (USMC Ret.). Morris introduced the Barrett M82, 95 and 99 rifles to the police snipers. At that time, the thought of a SWAT team having this weapon and capability was not commonplace. Not only did Morris teach about the rifle itself and its terminal capabilities, but also the different areas in which the rifle could be used in operational deployments. 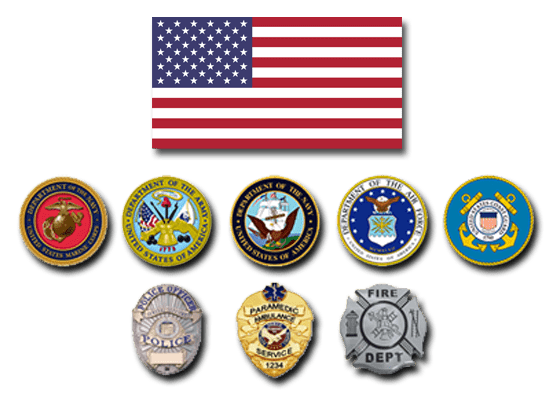 Because law enforcement then had little to no deployment and operational use of .50-caliber by SWAT teams, the military was leaned on heavily for much of the formal training and information regarding its use and deployment. There exist pros and cons between the two. Bolt action .50s tend to be a little more accurate out of the box. The biggest disadvantage of a bolt rifle is the follow-up shot. When interdicting a hard, static or moving target, follow-up shots must be trained and planned for. Even with the powerful kinetic energy that is being brought to bear on the target, one round may not be enough to disable an engine or stop a threat. Due to the larger bolt, locking lugs and chassis, more is involved with rechambering a second round. This translates into more time to fire the second or third round if needed. Semi-auto .50s tend to be not as accurate out of the box as bolt .50s. The industry standard for a precision rifle is one that is capable of one minute of angle accuracy (1 MOA). In layman’s terms, the rifle can consistently group one inch or better at 100 yards. There are .50-calibers that can achieve this standard with quality rounds. One must remember that the .50-caliber does not necessarily need to meet the precision rifle definition to be an effective option. Kinetic energy is often overlooked and not understood as it relates to the .50-caliber’s capability on a hard target. Kinetic energy is the striking energy that is delivered by the projectile once it impacts the target. This is one of the most important reasons to be .50-caliber-capable. Kinetic energy is measured in foot pounds (ft/lbs). An example of this is as follows: A typical .50-caliber armor piercing (AP) 700-grain round at the muzzle (29-inch barrel) delivers approximately 13,000 ft/lbs of energy. If you had a 13,000-pound block of concrete and the rifle was aimed straight up at the concrete, the projectile, once fired, would move that 13,000 pounds of concrete one foot. These weapons provide the capability to pierce hard armor, multiple layers of mild steel, or substantial brick, concrete and other materials that may give hard cover to potential suspects. In comparison, a .338 Lapua 285-grain round at the muzzle exits with approximate 5,000 ft/ lbs of energy. A .308 155-grain A-MAX round exits with 2,300 ft/lbs of energy. Once the .50-caliber projectile travels down range, it rapidly burns off kinetic energy by means of sound and heat. The amount of energy that the .50-caliber begins with is substantial when compared to its nearest competitor, the .338 Lapua. 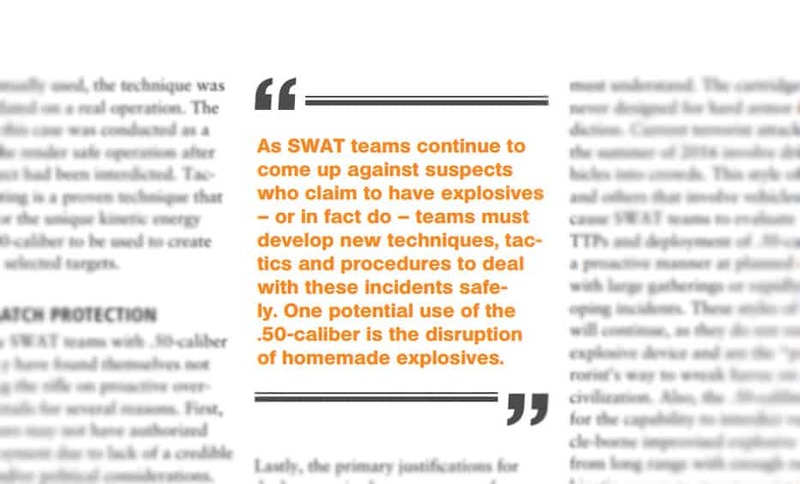 As SWAT teams continue to come up against suspects who claim to have explosives — or in fact do — teams must develop new techniques, tactics and procedures (TTPs) to deal with these incidents safely. One potential use of the .50-caliber is the disruption of homemade explosives. In a situation where a suspect is claiming to have substantial net weight of explosives, either in a structure or mobile setting, with no other option to mitigate, thought should be given to utilizing the .50-caliber with mission-specific rounds to disrupt the explosives and minimize any risk to public safety and SWAT team members. This is definitely outside-the box thinking, but these days, with team members in close proximity to such a potentially large explosive device, big thinking and strategies are called for. A .50-caliber with mission-specific rounds also could be used in a breaching manner when needed. For example, if a robot that has an explosive charge and cannot navigate to the area needed for breaching, or if there is unnecessary risk and exposure to team members, .50-caliber breaching may be an option on door hinges and locking mechanisms. 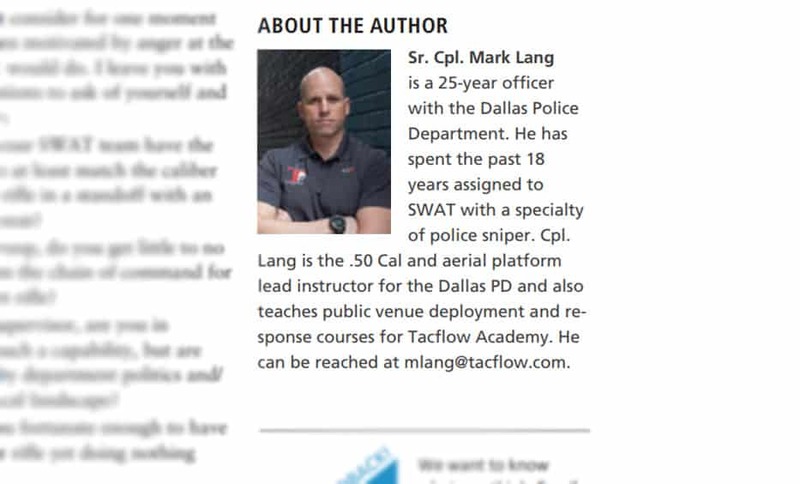 Tactical porting utilizing the .50-caliber is a relatively new tactic for SWAT teams. Tactical porting is the use of a projectile fired from a hard target rifle to create a port or hole. This tactic is made possible due to mission-specific ammunition. Engle Ballistic Research Inc. (ebrammo.com) is a mission-specific ammo company that has opened up the tactical options briefcase for .50-caliber use. The EBR Waterborne 595-grain anti-ricochet round was utilized in Dallas on two separate occasions during the aforementioned incident, first as a round to disable a running engine, and later during part of the render safe operation. Seven EBR rounds were fired into the front windshield to create a port hole for a bomb tech to utilize if needed. 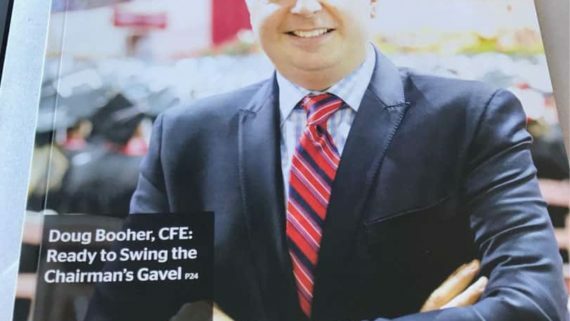 Although this was not the primary entry point that was eventually used, the technique was still validated on a real operation. The firing in this case was conducted as a part of the render safe operation after the suspect had been interdicted. Tactical porting is a proven technique that allows for the unique kinetic energy of the .50-caliber to be used to create ports on selected targets. Many SWAT teams with .50-caliber rifles may have found themselves not deploying the rifle on proactive overwatch details for several reasons. First, supervisors may not have authorized the deployment due to lack of a credible threat and/or political considerations. Secondly, snipers may have little confidence to deploy the rifle due to a lack of formal and substantive training. Lastly, the primary justifications for deployment in the past may not have been as apparent as they are now. The fact remains there are limitations to the .308 Winchester that all must understand. The cartridge was never designed for hard armor interdiction. Current terrorist attacks since the summer of 2016 involve driving vehicles into crowds. 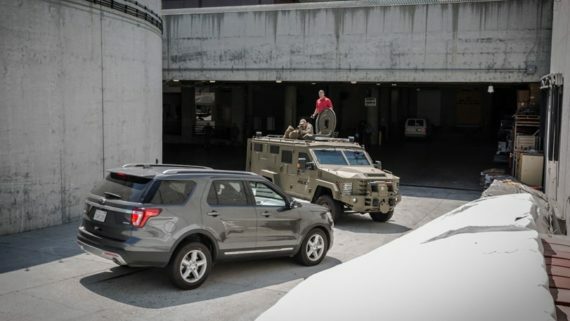 This style of attack and others that involve vehicles should cause SWAT teams to evaluate their TTPs and deployment of .50-calibers in a proactive manner at planned events with large gatherings or rapidly developing incidents. These styles of attacks will continue, as they do not require an explosive device and are the “poor” terrorist’s way to wreak havoc on Western civilization. Also, the .50-caliber allows for the capability to interdict vehicle-borne improvised explosive devices from long range with enough retained kinetic energy to stop terrorists’ actions. 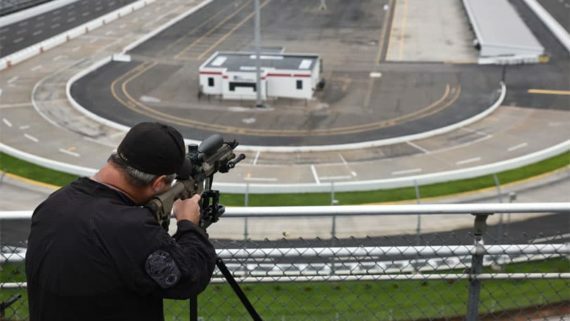 As little as two years ago, police sniper overwatch with a .50-caliber was not mainstream for many teams that had these rifles. 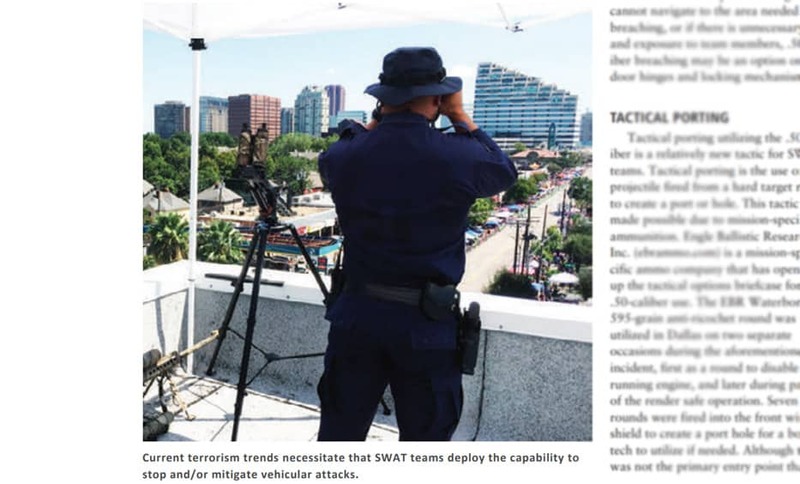 The evolution of terror has directly correlated to teams deploying these weapon systems at public venues, marathons, parades, protests and other large gatherings where there is the threat of criminal/terrorist use of vehicles. SWAT teams that are .50-caliber capable tend to fall into one of three categories. The first category is teams that have acquired a .50-caliber rifle by virtue of a donation, seizure or personal purchase. These rifles are stored with the SWAT equipment and have seen little use. The team usually has just one round, the ball 660-grain. In essence, the rifle exists only for the so-called zombie apocalypse. These teams have had no formal training, and any practice consists of limited familiarization fire or a very abbreviated qualification course of fire. Category two is teams that may have more than one .50-caliber rifle and do a little more shooting with it. They may have an armor-piercing round in addition to the ball round. They tend to not deploy the rifle on overwatch positions and it is rarely used on operations. They have limited terminal ballistics testing on their own and rely on what the manufacturers say the round will do. Standard operating procedures may or may not reflect any mention of the hard target rifle or its use. The final category is teams that have received formalized training and have structured sustainment training throughout the training calendar year. Qualification is quarterly or bi-annual. These teams look for mission-specific rounds to fit the possible need for operations and have multiple rounds for whatever the operation may require. Essentially, they know the capabilities and limitations of each of the rounds they have. 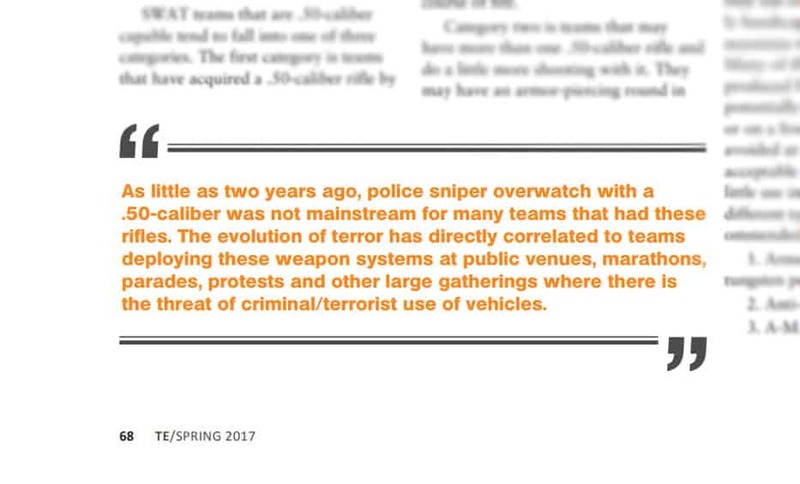 They actively deploy the .50-caliber in overwatch positions while covering planned protests, parades, marathons, public venues, etc. Armor-piercing rounds are designed to penetrate hardened steel mediums and continue through with maximum retained weight of the projectile. Several manufacturers produce AP rounds with and without a tungsten penetrator. These rounds will easily penetrate one inch of AR500 steel. The anti-ricochet/ frangible round is for use when the AP is not needed or there is concern for overpenetration and the safety of the public and/or team members. A-MAX is more of a match round when greater distance from target is encountered and accuracy is needed. A-MAX rounds excel in penetrating thick glass. As with any round of any caliber that is being considered for operational use, don’t take the manufacturer’s recommendations as gospel; do your own testing to validate or disprove the rounds’ intended application. •	Does your SWAT team have the capability to at least match the caliber of a .50-cal rifle in a standoff with an opposing threat? •	As a troop, do you get little to no support from the chain of command for a hard target rifle? •	As a supervisor, are you in support of such a capability, but are hamstrung by department politics and/ or the political landscape? •	Are you fortunate enough to have a .50-caliber rifle yet doing nothing with it? •	Is your number one issue the funding for the rifle and ammunition? Whatever your answer is, there is commonality with other SWAT teams around the country. 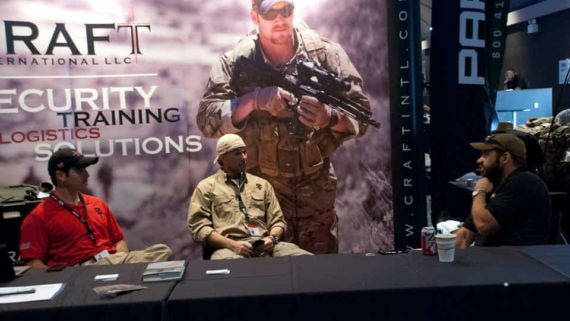 The .50-caliber emergence in the SWAT landscape has already begun. Be proactive and do your best to protect your team and the citizens you serve.